By John Raymaker with Ijaz Durrani. Addresses the climate change crisis through scientific, historical, and spiritual lenses. 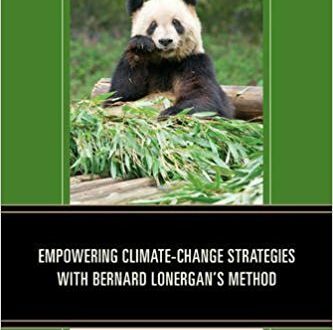 Using Bernard Lonergan’s functional specialization method, developed to facilitate collaboration among specialists, Raymaker and Durrani not only analyze data and rebut the claims of climate change deniers, but also look for inspiration to motivate and coordinate needed action by persons, groups, and nations. The book is wide-ranging in its historical examination of leaders who have shown us ways to work together constructively in finding solutions to problems. Lonergan’s method helps people study the past with a view to change the future. Read more.